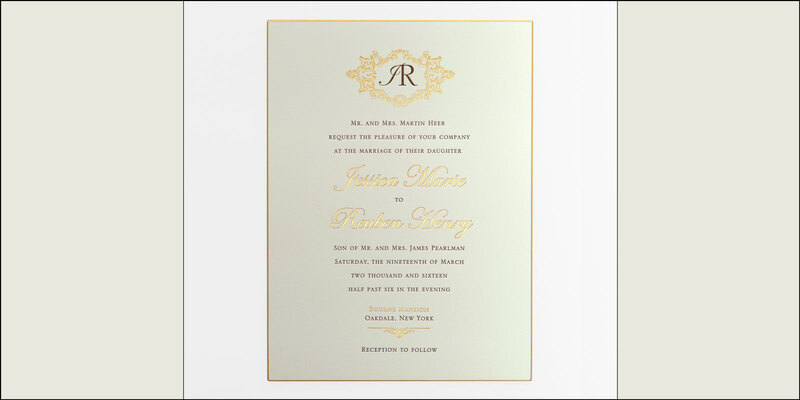 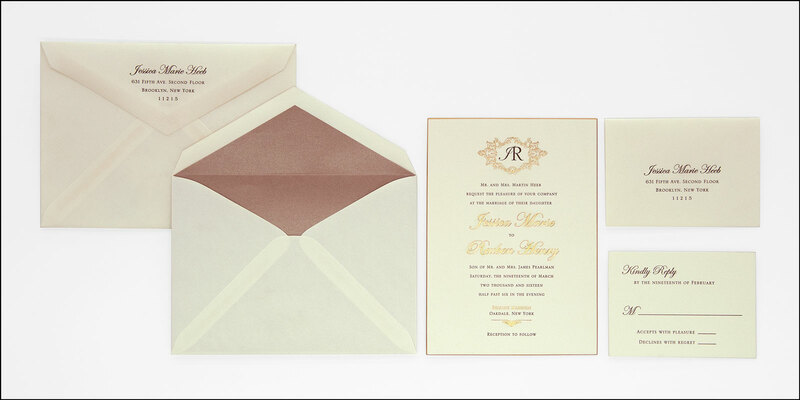 This elegant invitation suite features gold foil stamping and chocolate brown letterpress on 100% cotton natural white card stock. 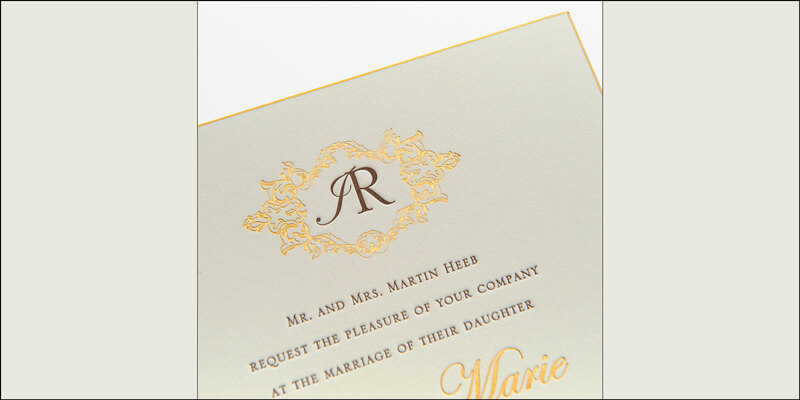 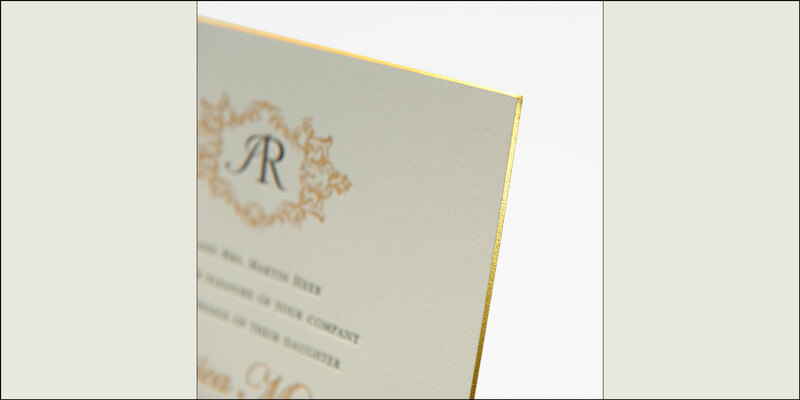 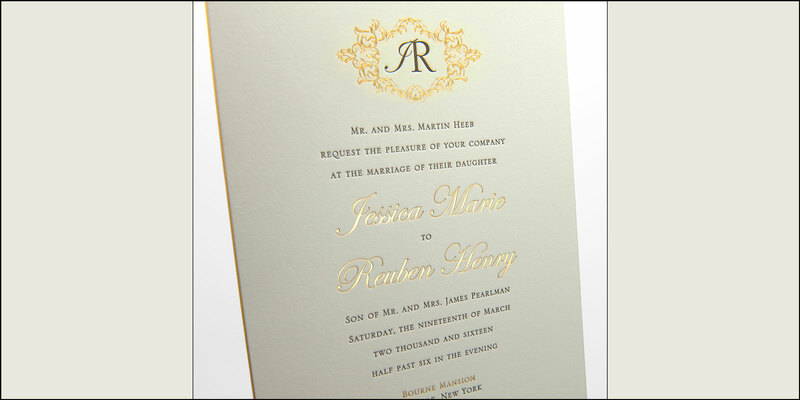 The edges are gilded and beveled in gold foil to match the foil stamping. 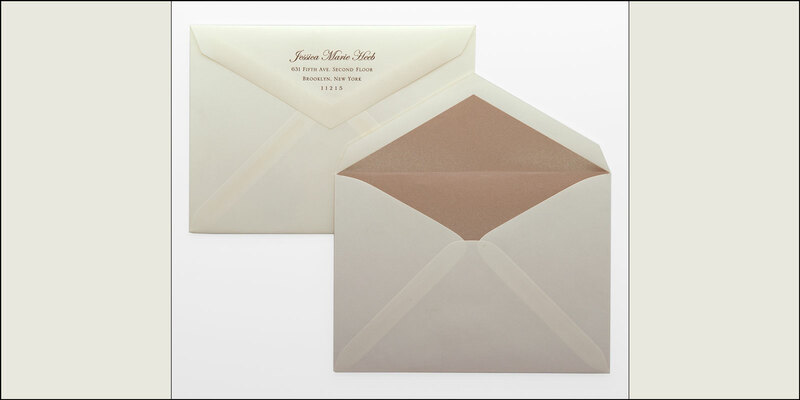 The double envelope set is a traditional touch that protects the invitations during the mailing process, and the inner envelope is lined with a semi-metallic sand colored paper stock that brings together the tones of the paper stock, the letterpress and the foil stamping.